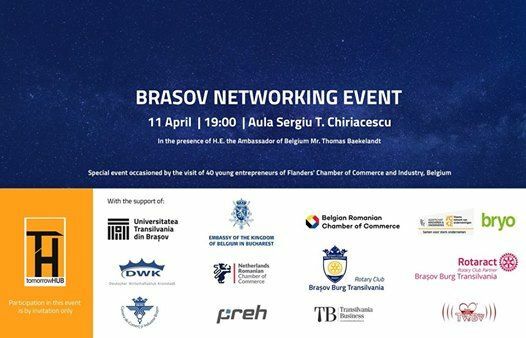 Brasov Networking Event, occasioned by the visit of 40 young entrepreneurs of Flanders' Chamber of Commerce and Industry, Belgium. The event is taking place in the presence of H.E. the Ambassador of Belgium Mr. Thomas Baekelandt. 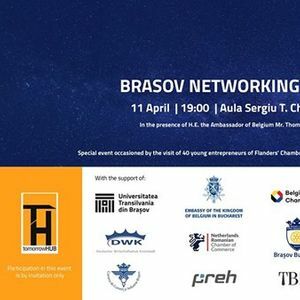 This initiative is part of Tomorrow HUB mission to connect young entrepreneurs to more experienced ones, as well as bringing together different companies from different fields. Participation in this event is by invitation only!